Visit your nearest showroom for availability! An ideal addition for a family or couples looking for a place to relax, the Sand Bar model is built with contoured seating for 5, 2 cooling seats and the option to have up to 81 fully customizable jets. This cozy model will spark up conversation at parties, give you a peaceful place to relax with your loved ones, and an oasis to enjoy by yourself before bed. 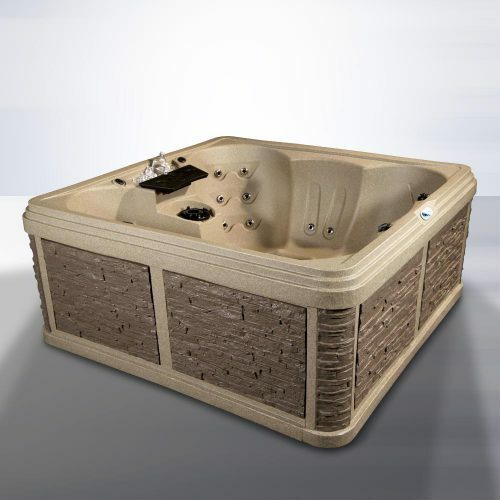 Inspire a new kind of happy hour with the Sand Bar model by Beachcomber hot tubs. Financing available from $304 / month with $0 Down & 0% Interest for 36 months! 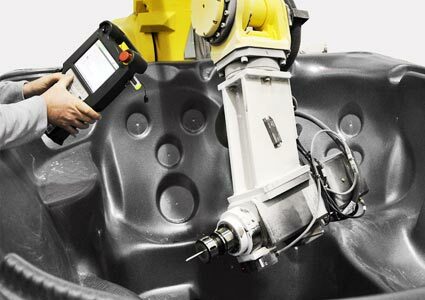 Quality is built standard into every Beachcomber hot tub. We take special pride in knowing that every one of our customers is receiving an amazing, top-class product when they buy a Beachcomber. 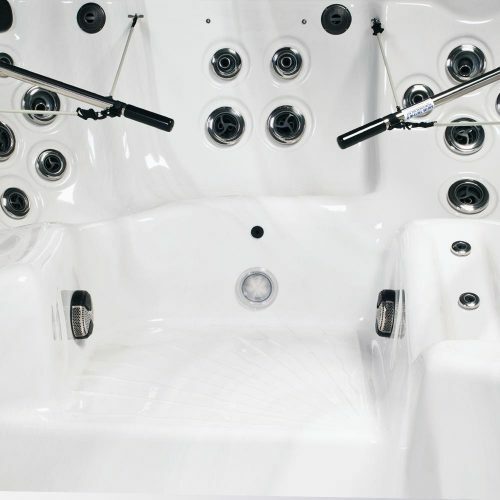 They spend a countless number of hours hand-crafting, inspecting and re-inspecting every hot tub that leaves the factory floor. This is how they’ve been able to maintain a 98% customer referral rating. Durability is a key ingredient of the Beachcomber hot tub recipe. While other brands focus a lot of their energy glitz and gimmicks, at the core of every Beachcomber is the promise of long-lasting durability. 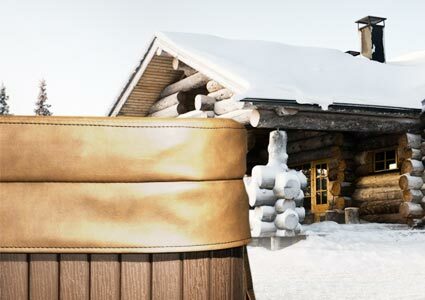 Sheltered by their rain, wind and snow resistant enviroskirt, each hot tub is crafted in a way that limits its exposure to the elements and maintains its performance, even in the harshest climates. 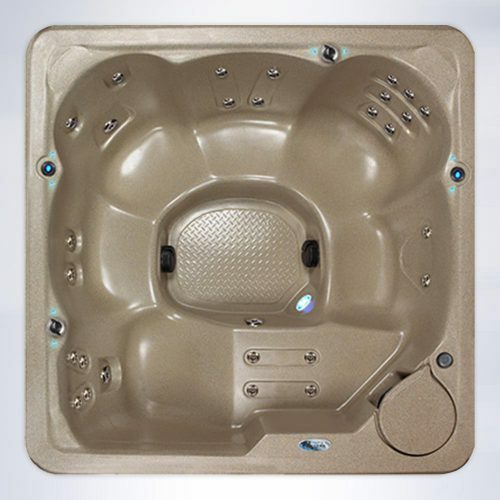 Beachcomber Hot Tubs are always amongst the most energy efficient hot tubs in the industry. 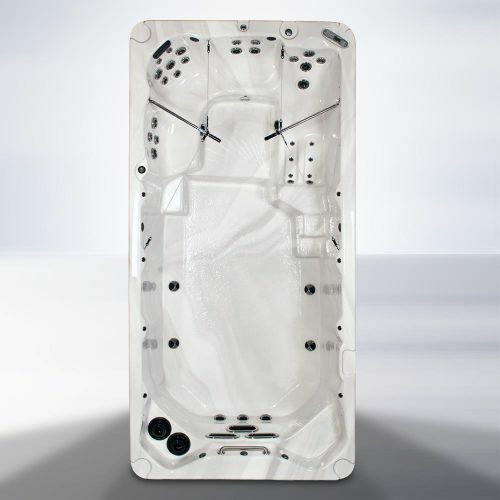 For example, their hot tubs use up to 33%* less energy than the competition at the same water volume range. 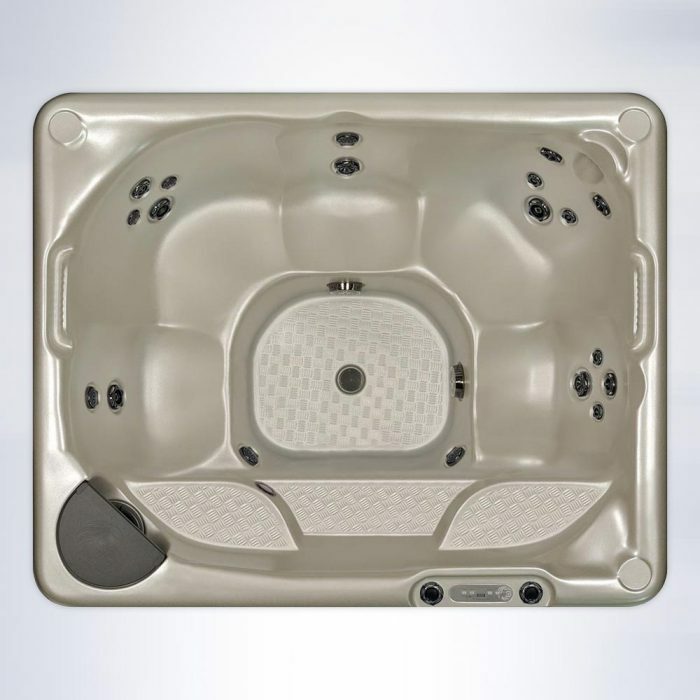 With energy efficiency built-into every aspect of their hot tubs, Beachcomber has made owning a hot tub much more affordable. The main efficiency feature, Beachcomber’s 100% Cavity Sealed Insulation, locks in and seals the tubs cavity, preventing moisture from entering and heat from exiting. Thus, creating a well-protected, amazingly insulated hot tub. 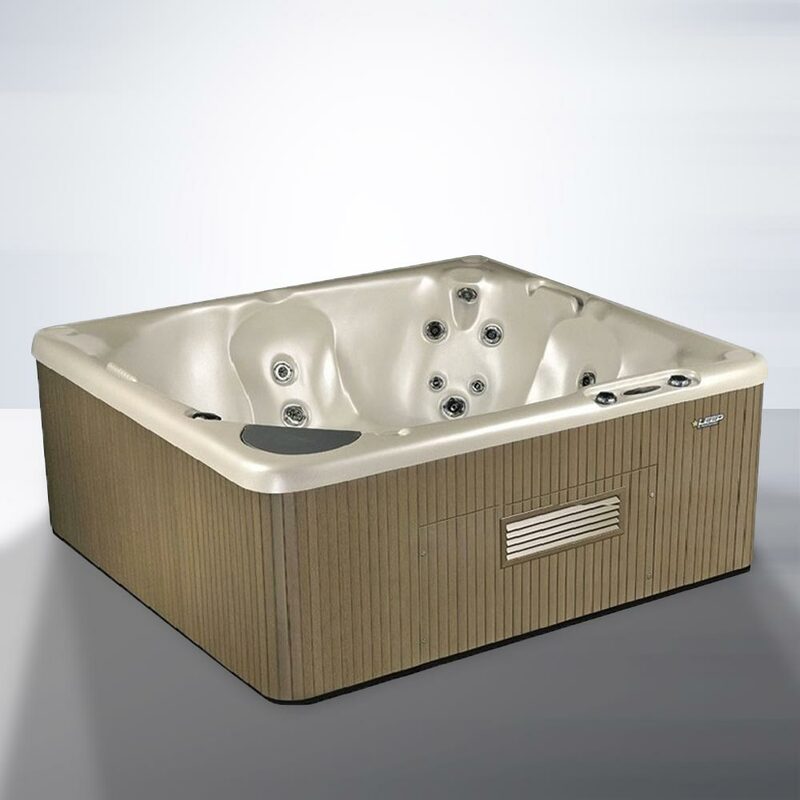 Beachcomber hot tubs are built to stand tall against the test of time and not cause you problems. There are countless Beachcomber Hot Tubs around the world that are over 20 years old and still running like new. 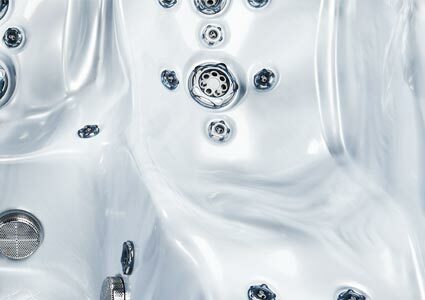 The dependability of our hot tubs far outweighs the savings of purchasing a lower quality, defective product that you’ll have to throw out after just a few years. 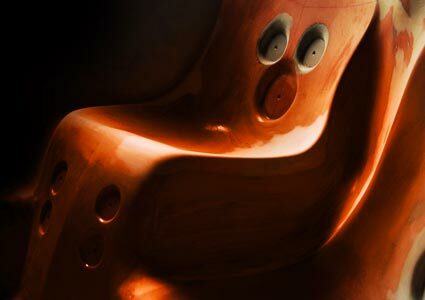 Knowing that this quality resides in such a beautiful vessel brings a strong pride of ownership. Our Daughter has a rare genetic disease that affects her entire body. In the past year she has had bilateral hip realignment and anterior/posterior spinal fusion which causes her to constantly live with pain. We have only had our hot tub for one week and we have noticed that she is already sleeping better. Thanks!